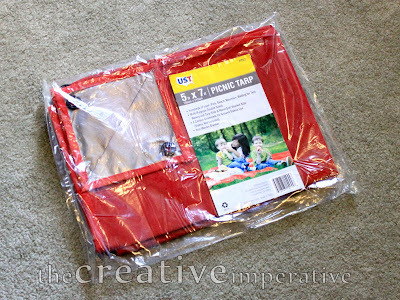 Today's creative share is prompted by two things. First, because Jamie from The Creative Imperative is thinking outside of the box as she remodels her son's bedroom with her repurposed tarps-turned-curtains, and we love people who repurpose and rethink! Second, she understands the kindred spirit of blogland and shares her tutorials freely so that others can try for themselves (see her comment on yesterday's post 'Recycled Frames and Copycat Dilemmas') as many of you do. The added bonus? I bet that silver lining on the back acts as a nice light filter - almost the same as an expensive curtain liner. 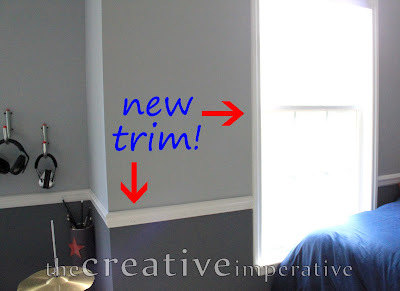 While you are there having a peek, don't miss her wall and window upcycle with trim. Great results and great color scheme. Thanks, Jamie, for leaving your comment on the discussion yesterday. I am genuinely interested in hearing your input on the 'copying' discussion if you hop back to yesterday's post and tell me what you think. Where do you think the lines are drawn between sharing and copying? 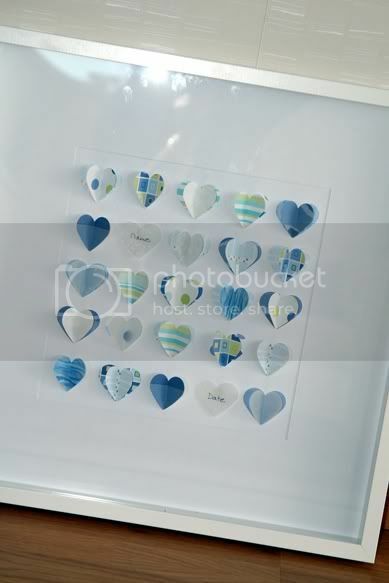 What a great DIY project idea for recycled frames. I ran across this mirror frame made from smaller bits of recycled frames today at the Anthropologie page while I was checking out their recycled eyeglasses necklace (causing quite a stir with its $498 price tag). I want to DIY something like this for myself, but now I'm having copycat dilemmas. Keep reading to find out why. It even comes in this super fun crate packaging that screams "DIY me when I arrive" - and is a bonus if you decide to purchase the frame from Anthro for $424 (yikes). As for me...I would prefer to try a DIY version for myself. I also shared it with Lucy at Lucy Designs because this is right up her alley - I'm sure she has a fabulous stash of old frames to chop up. I mean, have you seen her latest dragonflies??? Or her fun 'EAT' sign made from recycled frame bits? 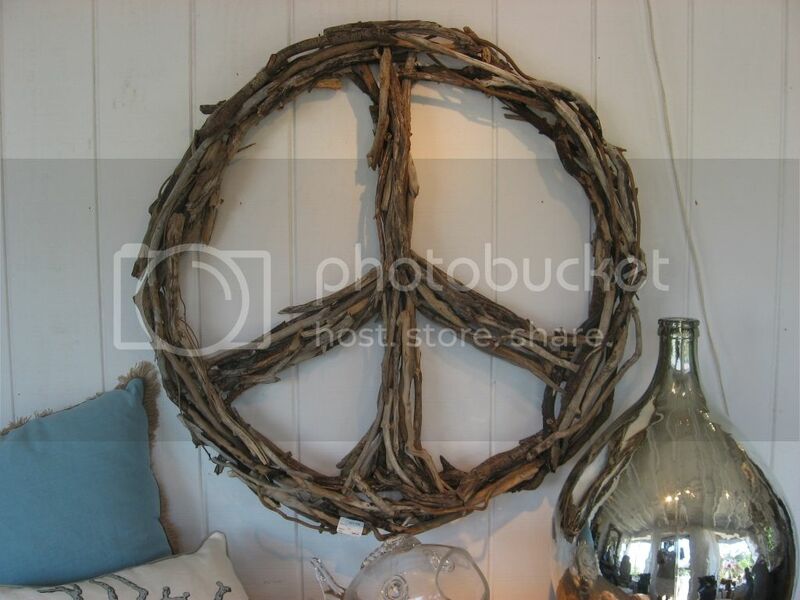 And there's something about the layering of those little recycled frame bits that also reminds me of this 'must try' Peace sign made by Designs Adrift. I want to DIY both of these projects. I don't know if I ever will, but I have certainly added them to my Pinterest 'must try' board. Have a look at the board if you need a good laugh today...like there is any chance I'll ever get to all these projects! Do you have one of these boards, too? Now here's where my dilemma comes in. I've been seeing a lot of blog posts lately about 'copying', like this article titled "Making It Your Own", or this one called "Copycats & Copyright". I would guess that I'm not alone when I say I'm inspired by seeing the creations of others. Sometimes I can just sit back and enjoy, blissfully knowing that I'll never try something like that. Other times I am moved into action and want to try my own version of something I've seen. I do it for my home or for my friends. I don't sell my creations. Yet. It doesn't mean I won't in the future. So my question is, does this make me a copycat? Am I breaking the cardinal rule of the handmade community? I'm really curious to know what you think on this subject. 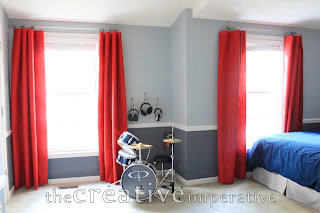 Is it okay to take inspiration from others to DIY your own? And where is the line drawn when it becomes 'copying'? Aren't we all inspired by something else? Are there really 'original' ideas that did not spring from some source of external inspiration? Yes, I think I will try both of the projects above. I also want to try one of Lucy Design's dragonflies. She sells her dragonflies, but she also shares her how-to tutorials now and then - something I really admire. And when I approached Designs Adrift directly to ask a bit more about his process, he was happy to share. So what makes these artists (both sell their creations as a living) so willing to share, where others are uber protective of their creative process? As for Anthropologie's $424 frame, I don't feel bad for DIYing that one - because I'm quite sure that they already took their inspiration from somewhere (someone) else. Wanna weigh in with your thoughts? Love these bracelets. Had to stare at them a while because I knew they were recycled materials, but they left me thinking, "What's that ?!" Here's the back view of the bracelet to give you another hint. That's right. These crazy cool bracelets are made from recycled bicycle inner tubes by Urban Lace Jewelry. The increased use of old rubber for art and products is A-OK for me as it tends to sit in the landfills...like forever! I'm also reminded of this beautiful piece of art created from an old recycled tire. I remember an episode of Grand Designs (a British show) last year that featured an Earthship home in France. Then found this video to share of a Canadian Earthship home under construction that shows the 'guts' of the home with recycled tires and aluminum cans. Now I'm going on a hunt to find out what else is being created out there with recycled rubber tires and inner tubes. Have you seen any good projects lately? 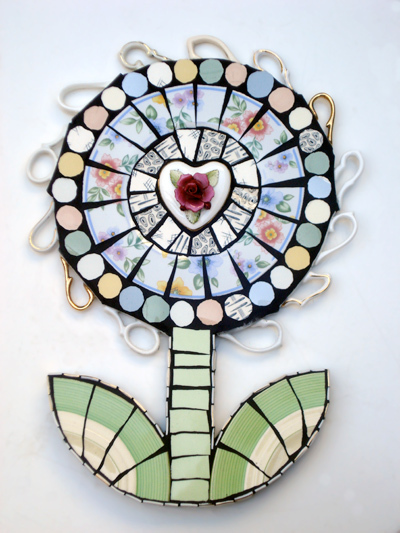 Labels: art, Inspiration, junk relove, Recycled, reloved, repurposed, What's That ? It's been quiet here at Blue Velvet Chair the past several days. I took a break from computers and took my family to Copenhagen, Denmark for a fun weekend visit and some Halloween themed atmosphere at the local Tivoli amusement park. Hop over to The Accidental Swede if you'd like to have a peek at our weekend fun. 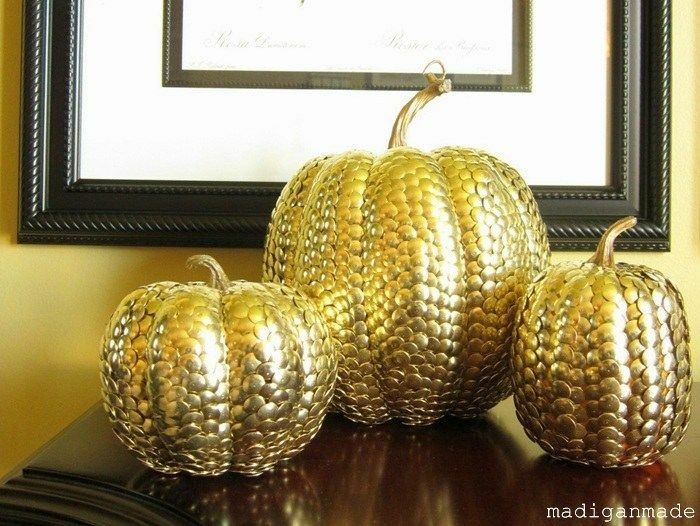 Now that we're back, and the final countdown is on for Halloween, I want to share some of my favorite pumpkins from blogland. I don't even have all of my own Halloween decorations up (remember my previous post about always running late?). But as they say, it ain't over 'till it's over - so let the final push of inspiration begin! I ran across this Louis Vuitton pumpkin in an online contest. It was one of my favorites, and you can visit Refinery 29 to have a look and vote for your favorite. I also loved this glittery little lady (from the same contest). She's going to stay on my 'must try' for next year. Junkman Jack here (as I've dubbed him) is just too cute for words. He comes to us from the children's art studio Small Hands Big Art in the United States. 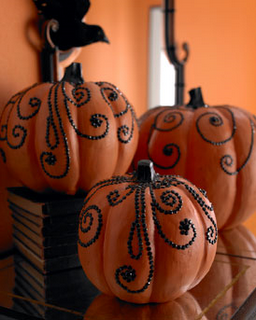 This classy pumpkin stack was used at a lovely fall-themed wedding. And my "alter-ego traditional interior design side" would love to have this on my front steps right now! 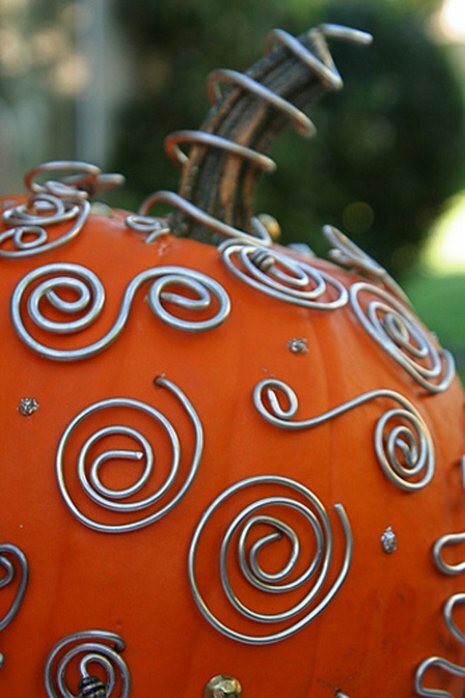 These next pumpkins (via Gordon Gossip) make my list because I have a real weakness for swirls. Shannon at Madigan Made created these beauties while she was waiting for the hurricane to pass nearly two months ago. Not only is she talented, but she's obviously much more organized for holiday decorations than I! I like these black cats from Sunset Magazine. Their high gloss style makes me smile. This one? Swirls...and wire! Thanks for the share, Curbly! 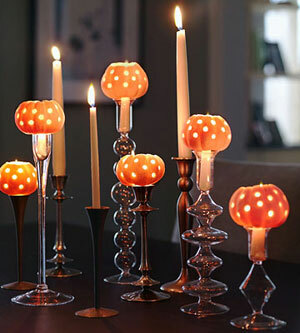 And finally, I just think this last little display from Ladies Home Journal (via Be Different Act Normal) is so sweet and original with the little polka dot mini pumpkins atop candlesticks. So there you have it. My list of favorites for 2011. And as I said before...it ain't over 'till it's over! 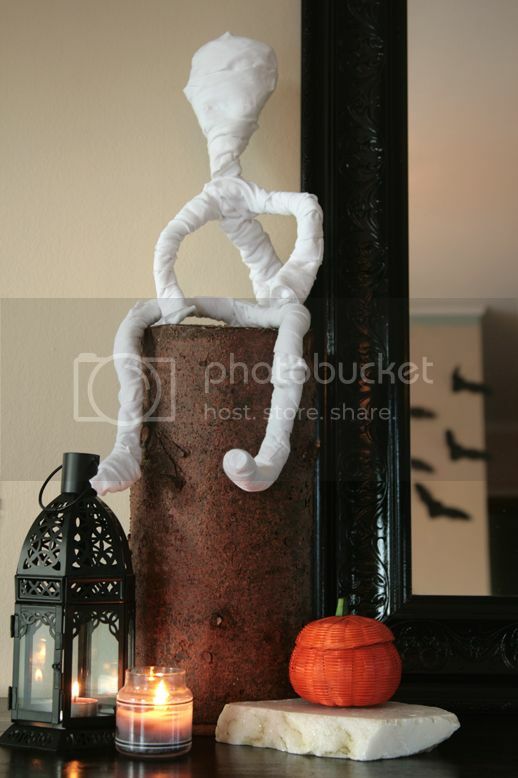 So I'm wondering...do you have all of your Halloween decorations up? I feel like I'm always running late. Late for meetings. Late for appointments. Late for dinner. Late for parties. Late for dropping off the kids. Late for picking up the kids. And certainly late for holiday decorating. If I'm lucky, I can throw together decorations a week before any given holiday. Ten days is organized! Well...I wouldn't say it's organized really, but I started tinkering with a few decorations today. After all, I've gotta do it for the kids, right? I don't have a great Halloween imagination, and because Halloween is still slowly arriving in Sweden (it wasn't here at all when I moved here 11 years ago) we don't get the visual clues or inspiration in all of the stores, nor do we have mega Halloween decor to purchase. Being a repurposer and recycler, the lack of things to buy doesn't bother me so much, but I do miss the cultural clues bombarding me and telling me when a good ol' American holiday is coming up. 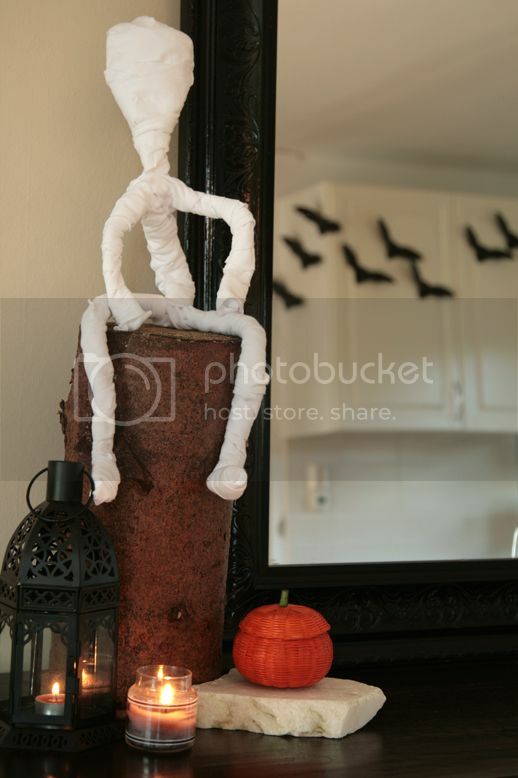 So, I've become quite dependent on blogland for my Halloween inspiration - and this year I'll be 'borrowing' lots of great ideas from fellow bloggers for a fun DIY Halloween. First out is my little mummy man. 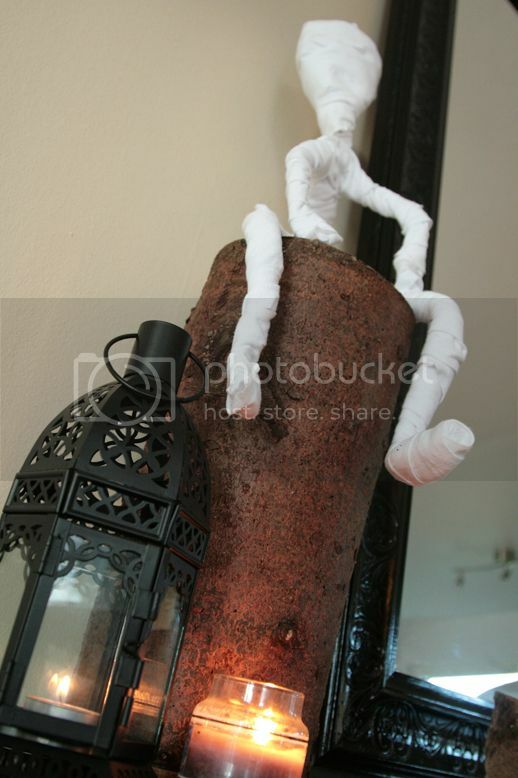 He was inspired by this mini mummy from Camilla at Family Chic. I fell in love at first site. And here's my guy. I see now he's a tad bit skinny in the middle...but he might just stay that way. He's made from a coated electrical wire that was super easy to bend, and strips of an old Tshirt from my husband...that he hasn't noticed missing yet. Notice the bats going along my cabinets in the mirror reflection? Those were inspired by Dana's wall at Made, and the cut-out pattern for the bats came from Country Living. I went out into the yard and hauled in that log for him to sit on, as well as that piece of marble slab from the garden to set under my little pumpkin. I think I'll call him Rodney. 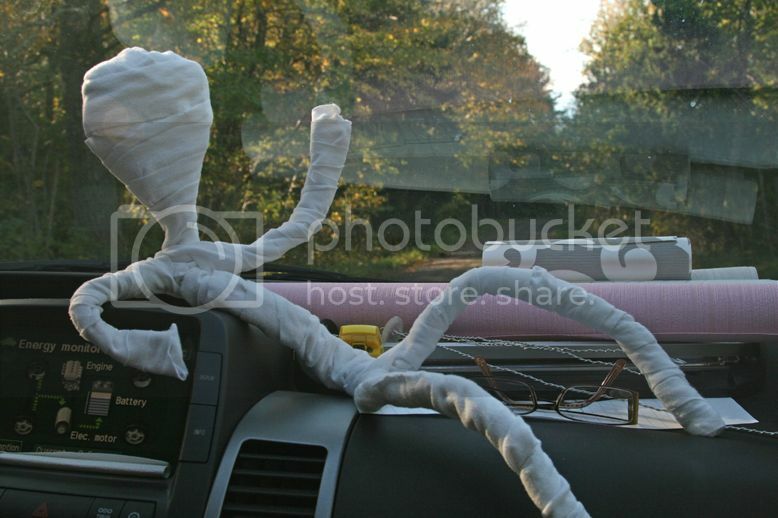 I made him in a 'car crafting' session during our day trip last weekend - you can also see the wire stems of some more button flowers I was making, as well as wallpaper samples for cutting out some hearts to make a baby present for our next door neighbor's newborn. I knew if I didn't get my decorations up soon, that the effect of this great countdown project would be lost. 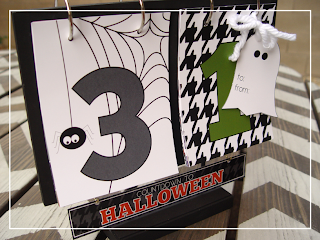 A big thanks to Kiki at Kiki Creates for the free numbers printable. 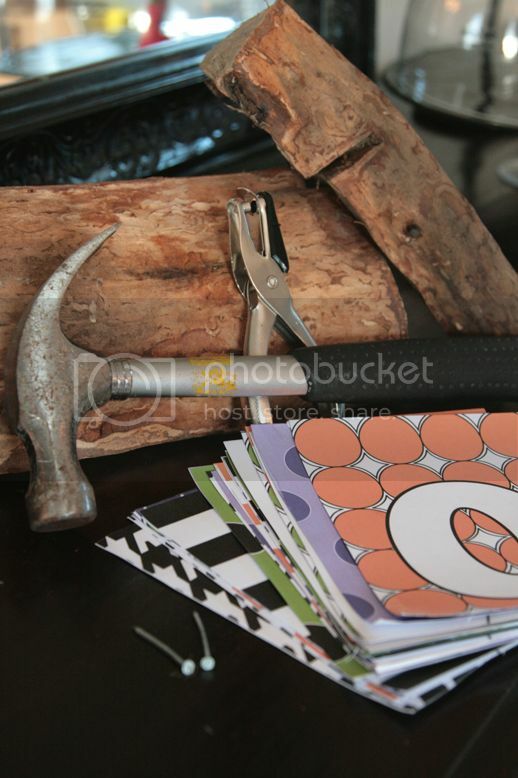 Here's what I started with...a couple of logs from the basket by our fireplace, a hammer, a couple of small nails, a hole puncher, and Kiki's cute numbers. 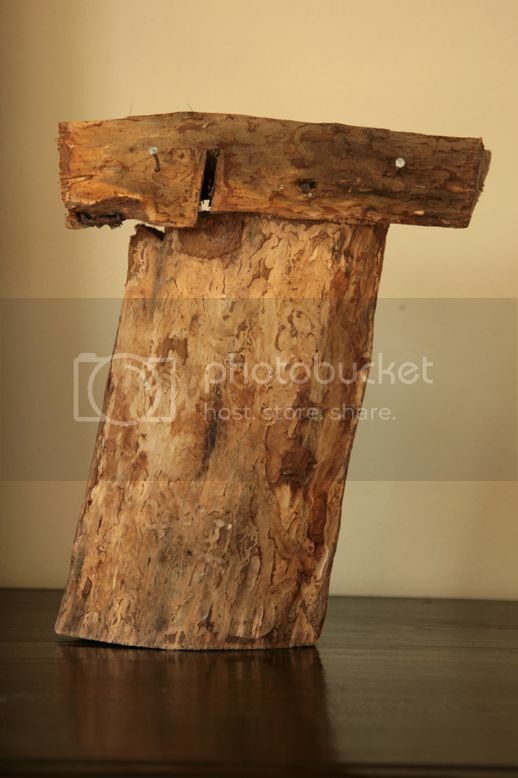 Here's what I did with the wood. I literally set one piece across the top of the other after hammering in the two small nails. Lazy? Or efficient! 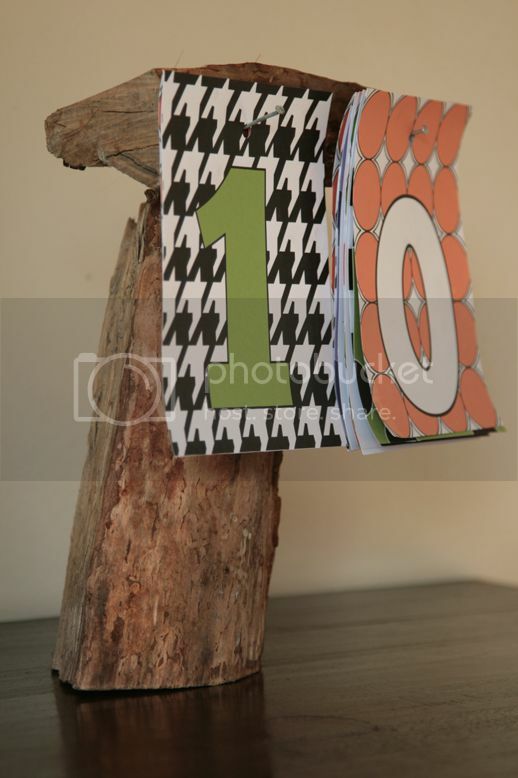 I loved the background patterns on the number printables, and they add just the right bit of funky alongside my rustic homemade stand. Next I grabbed a few misc. 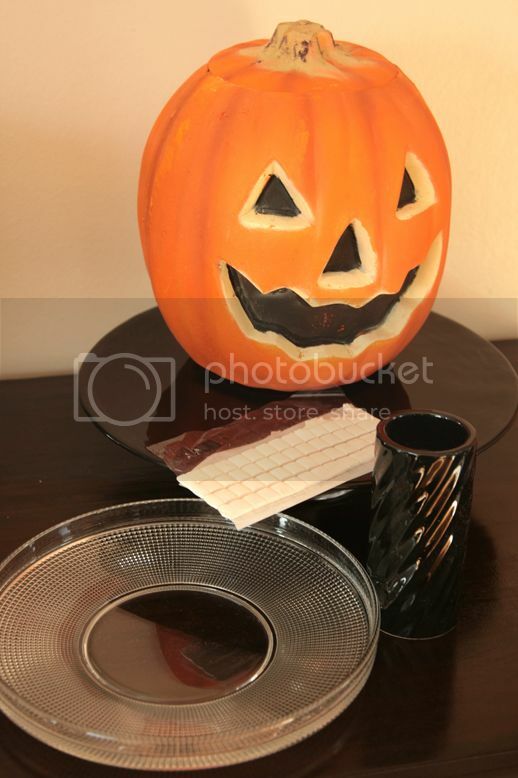 parts and pieces to put together a little stand for the cheesy pumpkin. I'd thought about replacing it with a real pumpkin, but I think I'll keep this one since I'm sure the kids will appreciate it. And because I didn't want to permanently glue these pieces together, I simply used blue tack (which is actually white) to hold the pieces together. 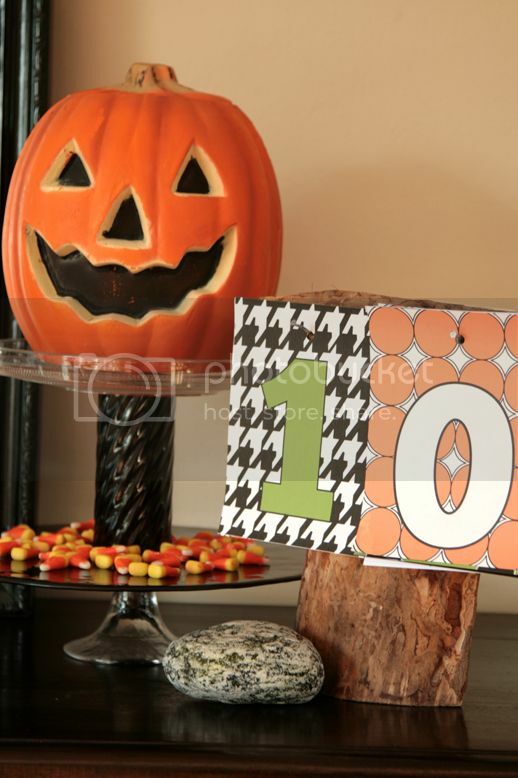 Now, I know there are 11 days until Halloween, but the pattern on the '1' card is the same, and it looked better in the photo to have a different pattern beside. It's all about the presentation. So that's a good start on my late Halloween decorations, and the rest will have to wait until next week as this weekend is all about family fun! One of my favorite things is the discovery of a creation that makes me stop, stare, and say, "What's that ?!" The latest comes from Christian Faur. 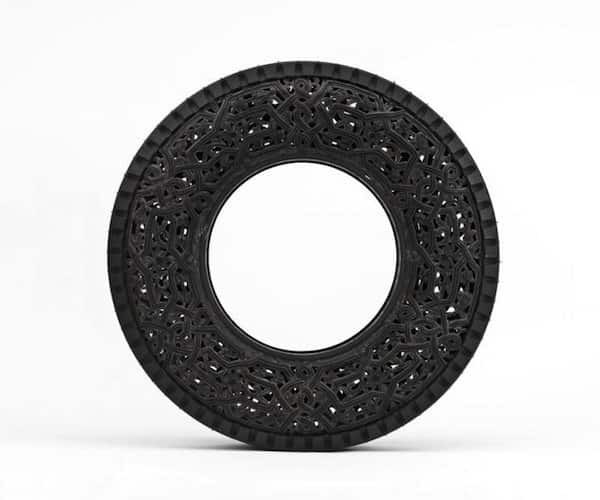 Do you recognize what it's made from at first glance? This should give you a good idea. Do you see it yet? When I longed for that golden yellow box of 60 Crayola crayons at the start of each new school year, I never in a million years imagined doing this with them! Don't miss Christian Faur's other crayon works of art - as well as his work in other mediums. You'll be amazed. And no doubt you'll stop, and stare. You may even ask, "What's that ?!" Labels: art, color, What's That ? It's one of my favorite quotes of all time. Art can't hurt you. I bought it on a magnet at an art show in Phoenix, AZ (oh so long ago and far away from present days in Sweden). I think of it all the time when I'm creating my 'something from nothing' projects. Art doesn't have to cost an arm and a leg, either....if you can do this! All you need is paper and a pen....that doesn't cost a lot...IF you can do this. And if we can't (I can't, can you? ), then we are destined for the sidelines of admiration and appreciation of the talent of Singapore artist Chan Hwee Chong. Appreciating art in so many forms...isn't it lovely?